Originally published in 1985. This investigation of Ovid’s fable takes a different tack to previous studies of the love lyric or the themes but looks at the creation of narrative strategies to explain Narcissus’ experience. The story has always been understood as literally impossible but invites readers to ask what is meant by the puzzling tale of deception and death. The limits placed on the fable by the commentaries of the medieval period allow us to appreciate the narrative expansion of the fable in twelfth and thirteenth-century poetry. 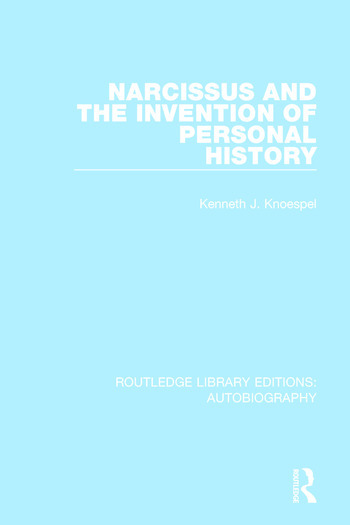 Themes in this book are the way the fable is used as a means for knowledge of physical nature and the development of science; the importance of language in the fable and in its settings when rewritten in other texts, and psychoanalytic aspects of Echo and Narcissus. The fable has the capacity to represent mental life and psychological crisis within other narratives and this is also an important discussion point, based around the medieval text Roman de la Rose. The book also considers the wider Metamorphoses and Ovid’s importance for literature. Kenneth J. Knoespel is McEver Professor of Engineering and the Liberal Arts at Georgia Institute of Technology, USA.